Naomi Paxton. Stage Rights! 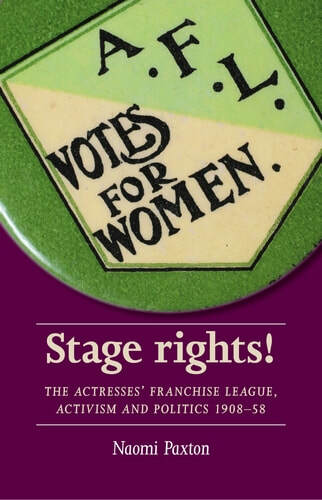 The Actresses' Franchise League, activism and politics: 1908-1958. Naomi Paxton, ed. The Methuen Drama Book of Suffrage Plays. Maggie B. Gale, Kate Dorney (eds) Stage Women: Female Theatre Workers, Professional Practice and Agency in the Early 20th Century. ​Manchester: Manchester University Press, 2019. ‘Vera Holme’ and ‘Elsie Howey’ in Jane Duffus (ed) The Women Who Built Bristol. Talking Humanities, UK Parliament Vote 100, and the Being Human Festival. ​She has written theatre reviews for websites including The F Word and The LGBTQ Arts Review.